Eighteen years after US ESIGN Act and 21 years after the world’s first laws on electronic signatures went into force in Germany and Singapore the benefits of e-signatures are widely understood and many organizations rolled out e-signature to some extent. However, users are reporting mixed experience with some of these solutions: some are not providing a compelling user experience; some have not been designed to support omni-channel strategies; some have found a lack in workflow orchestration, deployment options, or integration capabilities; and some have found that the solutions were not designed to meet global compliance requirements. Today, many e-signature implementations are in a silo stage. 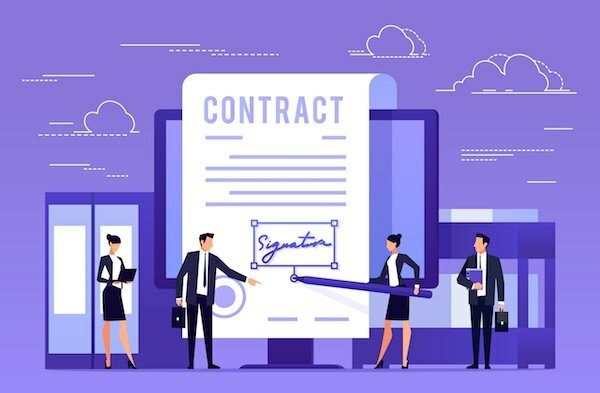 In a recent AIIM webinar, Craig Le Clair, Forrester VP and Principle Analyst, and Florian Vondal, Allianz Solution Architect, took a closer look at the “esign of the times” and what must be considered when attempting to accelerate e-signature adoption enterprise-wide and meet global compliance. Historically solutions from North America are primarily focused on customer experience. This concept also resonates in other common law countries like the UK or Australia. Many civil law countries in Europe, like Germany, France, Italy or Switzerland, put trust first. Hence the concept of electronic identification and trust services (eIDAS) as defined in EU regulation 910/2014 is centered around trust and security and certificate-based signing. We have not yet seen widespread adoption of this concept in the UK, which is likely due to their common law background, not because eIDAS will become less relevant after Brexit on March 29, 2019. In North America, e-signatures are based on multiple authentication aspects with a focus on knowledge-based authentication which cannot be applied in EU due to much stricter privacy regulations. Recently the enactment of European General Data Protection Regulation has led to a stronger demand in private SaaS solutions and refreshed interest in on-premise installations. When assessing e-signature solutions it is important to keep their solution DNA in mind and how this DNA fits to an organization’s requirements. Allianz – a global financial services and insurance company – is one of those organizations which had to rethink their approach on e-signatures. They were primarily looking into areas with the highest potential to accelerate adoption along with the need to act because of digitization efforts by competitors. The signature focus is on consumer-facing scenarios for both in-person and remote interactions. Allianz was mapping the insurance buyer’s journey across all product lines to identify what’s required for best-in-class signing experiences. For example, it is important to be kept in mind that channel preferences for buying and managing insurance coverage are primarily driven by consultation recommendations and personal confidence in the digital processes instead of belonging to a specific age group (e.g., Millennials or Generation X). Allianz is identifying e-signature requirements per use case by looking into four dimensions: legal, organizational, psychological, and technical. The webinar shared a few examples of these four dimensions, including the following. If signers should act remotely, a reliable – and preferably multifactor – authentication process needs to be integrated for a higher level of assurance. This is a “must have” to comply with anti-money laundering requirements. Additionally, in Europe for things like consumer loan origination, legal requirements specify to use “advanced” or “qualified” electronic signatures for conclusiveness and enforceability of signed agreements. These are just some of the very important drivers for companies to examine for selecting the right e-signature product. Access the full webinar recording to learn how Allianz is enabling customers, brokers, employees, partners, and suppliers to sign securely, confidently, and compliantly, and doing so anywhere, any time, on any device, using the appropriate type of e-signature in every signing scenario. About the Author: Joerg Lenz is a seasoned Digital Transformation Journey Tour Guide specializing in Digital Transaction Management. Helping organizations to go paperless with their signature processes in banking, insurance, telecommunication and other industries.